Junk files occupy a lot of disk space unnecessarily and affect system performance negatively. Windows offers built-in utility to help you deal with these unnecessary files. Let’s discuss ways to clean out junk files in Windows 10. Junk files on your system accumulate in large numbers over time on your system in the form of temporary files, game news files, temporary Internet files, downloaded program files, offline web pages and much more. These junk files occupy precious disk space unnecessarily and affect system speed & performance negatively. These files generate when you perform different tasks on your system and remain even after you have completed the task. To find and clean these unnecessary files, Windows offers various built-in utilities such as Disk Cleanup tool, which works efficiently to remove all junk files instantly. 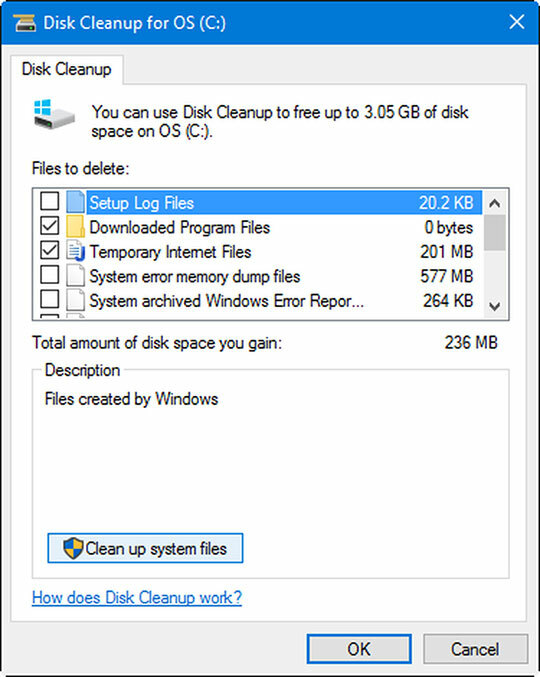 Disk Cleanup utility provides a detailed analysis of all junk files on your system and even helps you clean old & obsolete system files. This useful built-in utility helps you recover a lot of disk space effortlessly. It also helps you improve your system performance. Apart of it, you can also use PC cleaner software tools to find and remove all such unnecessary files accurately. These tools work on advanced techniques to find and remove all junk files instantly. Let’s discuss ways to find and clean all junk files on Windows 10. This PC cleaner utility comes built-in on all Windows versions. It helps you find and delete all junk files on your system effortlessly. It offers a detailed analysis of all junk files on your system in list preview. You can click on any of these options to manage or delete them. You can click on “View Files” button to view file details. It is a useful tool to de-clutter and manage your disk space and to improve your PC performance. To access this utility, follow below-mentioned steps. Go to Start menu and type “Disk Cleanup” in the search bar. Alternatively, you can search for “free up disk space” option. Tap on Disk Cleanup utility in given options to open it. Select the drive you want to clean from junk files. It will take some time to open detail analysis of all junk files in the selected driver. Here, you will find all junk files under different folders. Click on any folder (Check mark next to folder) and press OK to remove it from your system instantly. You may also like: 10 Best PC Cleaner Software to Optimize Your System. You can find this option under Disk Cleanup utility on Windows. You can use this feature to find and clean all old & obsolete system files on your system. These unnecessary files are generated as second copy or idle files by your system. Once you click on this option, it will ask for the drive you want to clean. 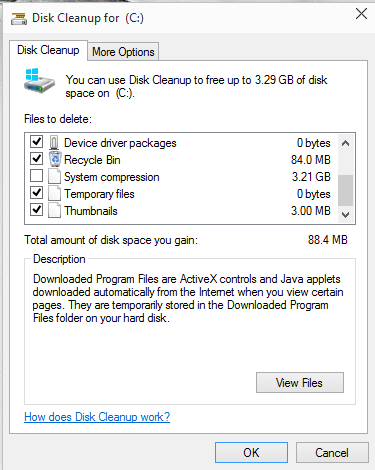 Now when you have selected the drive, it will start calculating how much space you can clean up on the selected drive. It will display all these files in list view under Disk Cleanup window. To access this feature, follow these steps. Go to Start menu and search “disk cleanup” in the search box. Select the “Disk Cleanup” utility from given options. Here, you need to select the drive you want to clean. Now find and click on “Clean up system files” option in the lower-left corner. It will again ask for to select a drive you want to clean. Choose the drive, and it will start calculating how much space you can clean up. 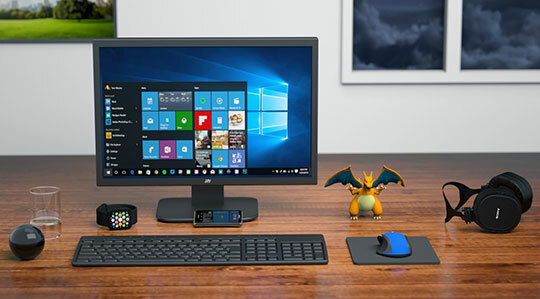 Under results, check mark on any of given options which you want to clean and press OK.
You may like this: 10 Tips to Improve Performance of Your Windows PC. Next solution to find and clean junk files on your system is to use PC cleaner apps. These software programs work on advanced techniques and smart algorithms to find and clean junk files even from the remotest corners of your system. It finds and removes all types of junk files from your system. It helps you recover lot if disk space effortlessly. Further, it helps you improve system performance as well. We highly suggest PC cleaner software programs to users to improve system performance. Disk Cleanup is a useful utility available on all Windows versions which help you find and delete all unnecessary and junk files effortlessly. This utility provides you detailed analysis of all junk files on your system and helps you manage them well. It is an effective built-in utility to help you recover disk space and to improve system performance. File Explorer is one of the most important parts in Windows 10 you can add any file directly in windows 10 you can save it. Nice article. All the tips you have given are really nice. It really helped me with my pc cleanup. And PC always works smoothly after cleaning. So thanks for sharing the information. Temporary or junk files can also be removed from a windows system by simply deleting the thumbnail cache, deleting temporary internet files, emptying recycle bin, uninstalling unwanted installed apps etc.